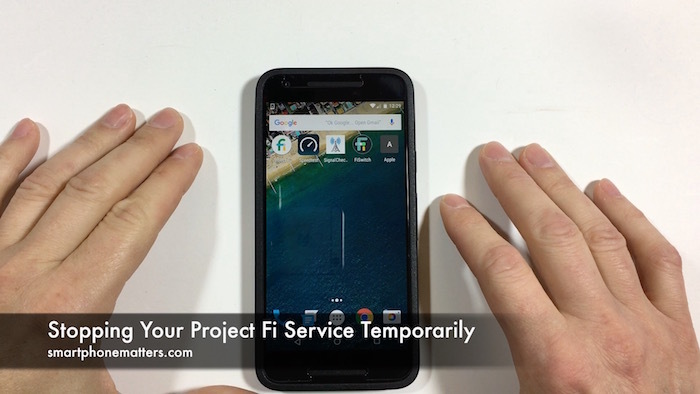 One of the really cool features of Project Fi is that you can pause or suspend your service temporarily. When you pause your Project Fi service you’ll be able to keep your phone number, but your service will be suspended and you will not have to pay for service. Your talk, text, and data will stop working until you resume your service. You can pause your service one time per billing cycle. You can suspend your service for up to 90 days. After 90 days, your service will automatically resume. One of the really nice things about Project Fi is their product documentation. I did a Google search and the first search result was right to the correct spot in the docs. The page clearly described what it means to suspend your service and how to do it from the website or the Project Fi app. I’ve decide to put my service on pause for a while. My Nexus 5x is my second phone and not my primary phone number. Currently I’m also reviewing Verizon Prepaid and Straight Talk’s Verizon network. I have four phones active, which is too many. To pause my service, I opened the Project Fi app. From Accounts, I tapped, My Account, scrolled to the bottom and tapped Pause Service. A message appeared on the screen explaining what happens when service is paused. After reading the message I tapped the Pause Service button I was returned to Manage Plan and it now showed a big pause button on top. I could resume my service just by tapping it. That’s it. It was really easy. My service is paused for up to 90 days. For now, I can use my Verizon prepaid service for a second phone number. Once I paused my service, I noticed the cellular signal disappeared from the status bar on top. I haven’t tried calling my Fi number yet so I don’t know what message callers will hear.